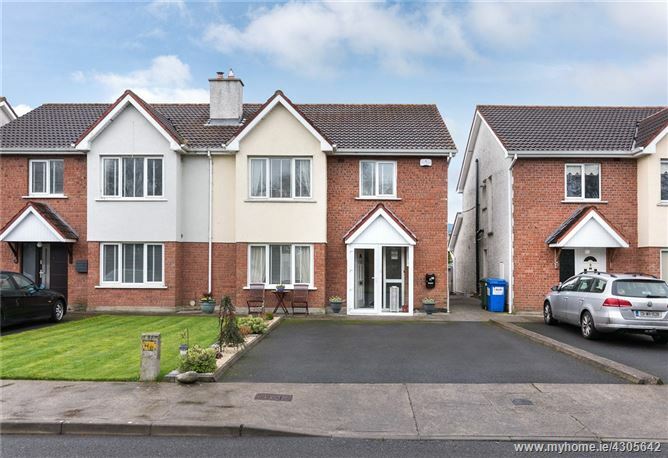 Beautifully presented home , recently refurbished to a modern standard and situated in a most popular residential area walking distance of Athlone town centre. This fine property has a light-filled orientation with well-proportioned accommodation, south facing rear garden and 'off street' car parking for two cars. Living Room 4.9m x 3.9m. Dining Room 3.6m x 3.2m. Utility Room 2.2m x 1.8m. Bedroom 1 3.8m x 3.5m. Bedroom 2 3.6m x 3.5m. Bedroom 3 3.8m x 2.5m. Bedroom 4 3.6m x 2.2m.